I can picture it now: fallen leaves crunching beneath my feet, the smell (and taste!) of warm apple cider, and layering scarves and sweaters to keep warm on those cooler, crisper days. Yes, that’s right: Autumn is fast approaching and I absolutely cannot wait. Fall happens to be one of my favorite seasons and I’m so eager for the change in weather, the wardrobe, and most importantly: the desserts. When I think of Autumn-themed desserts, I think of caramel dripping off of cakes, cinnamon being sprinkled on pumpkin lattés, and brown sugar topped off on a dozen, luscious muffins. It’s so easy to be creative with Fall desserts. There are so many spices, flavor profiles, and fruits to work with, that it’s tough to decide on what to make sometimes! Today, I decided to round up some fantastic recipes to get you excited about the upcoming season. What’s your favorite part about Fall? Let us know in the comments below! 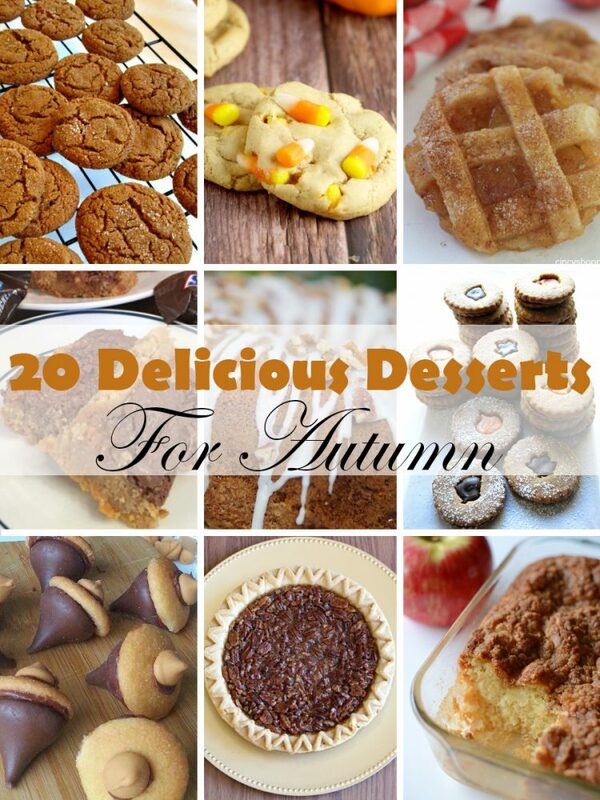 What is your favorite Autumn dessert? You are very welcome! My daughter wants to make every one of these recipes. Oh man! These look fabulous – thanks for sharing!